So how the Diwali prep going on? 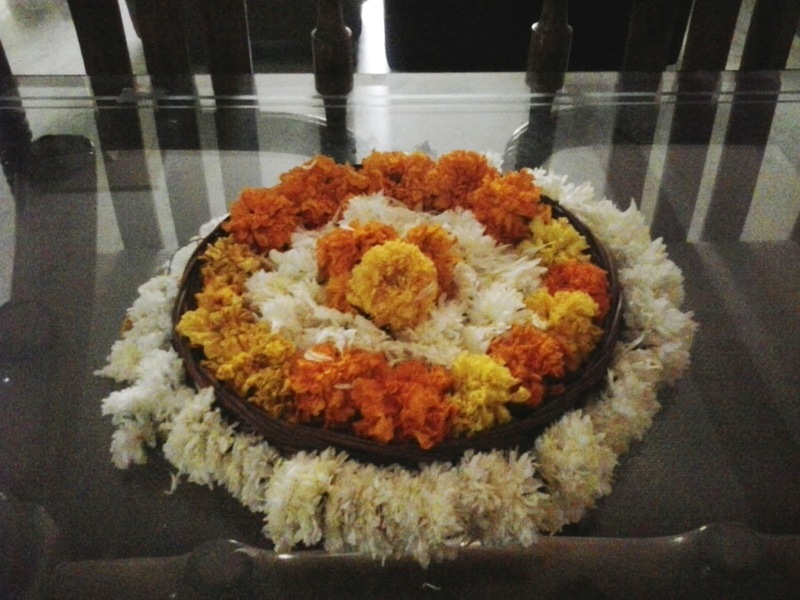 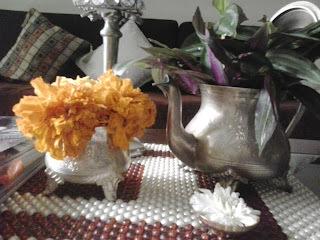 I know these preps cant be over till the last day.... like rangoli and flower decortion are done the same day to keep afresh....Sharing the pics clicked this morning with marigolds and daisies and a dash of greens(you know my fixation with greens) and the newly polished white-metal kettle (how rhyming na metal-kettle metal kettle metal kettle metal kettle rather tongue twisting heheh try it out fast ). 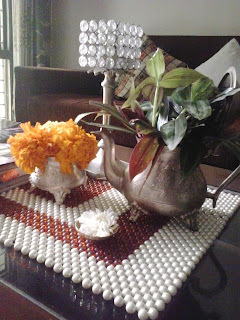 The kettle looks beautiful..fresh flowers and leaves always add a fresh feel to the space. Beautiful!! 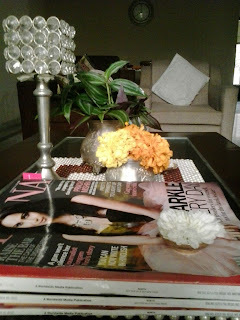 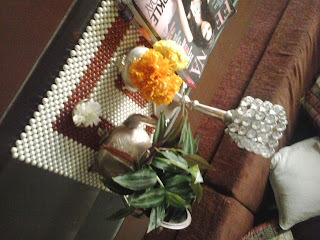 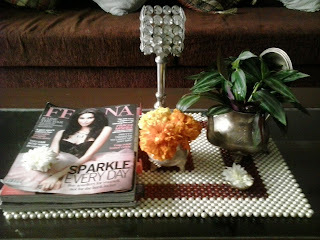 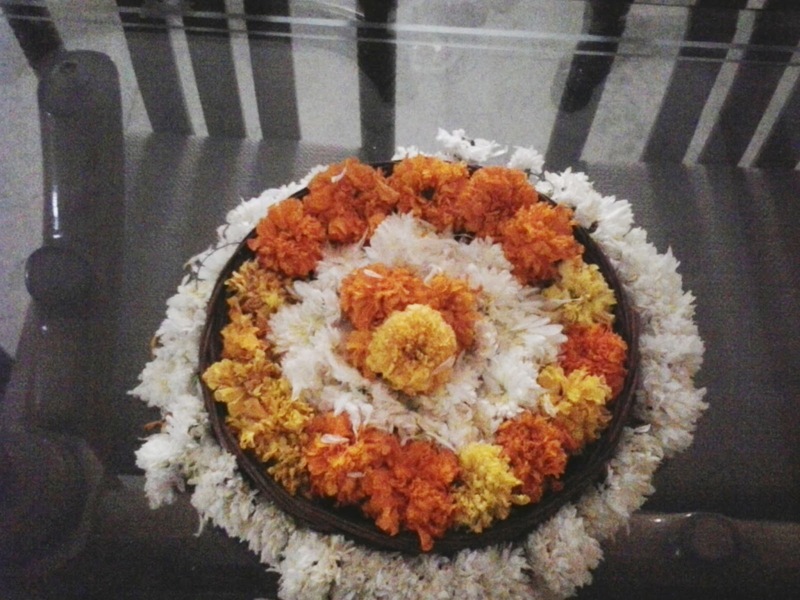 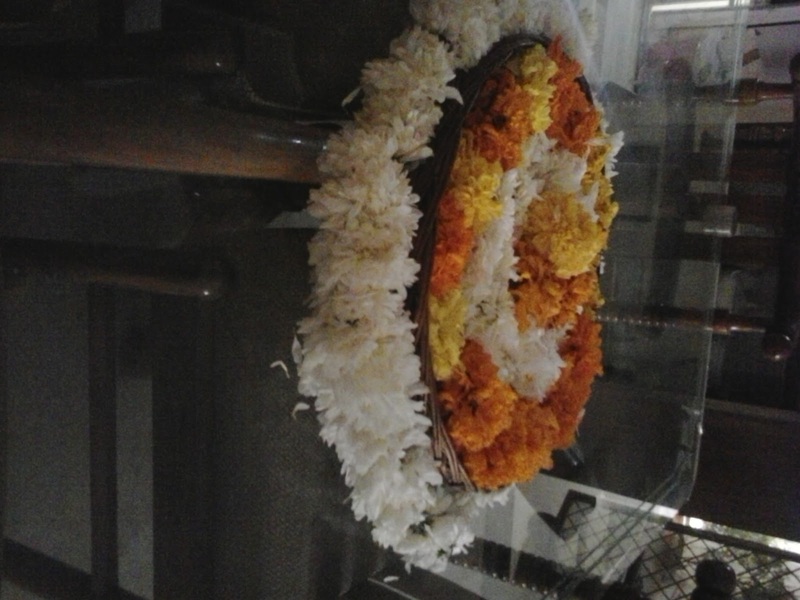 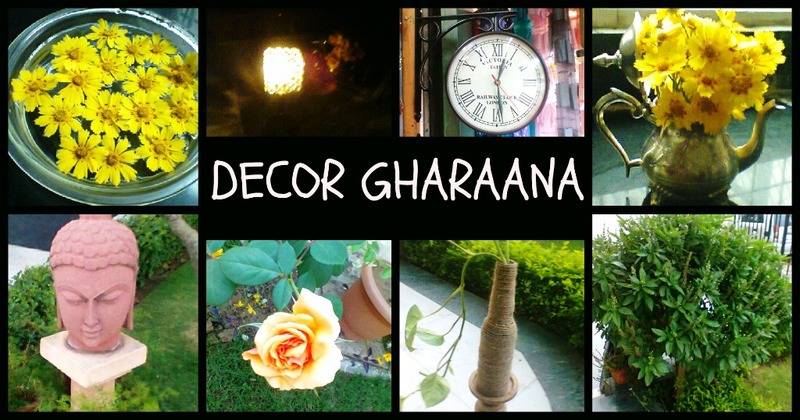 @ Vandana craftsia- Thanks..so tru the freshness of flowers and leaves is truly a mood lifter.